Jonathan Rosenbaum in his regular Cinema Scope column has called it a “no-brainer”, and it’s true that the Criterion Collection’s coupling together of the two versions — Jean Renoir’s Les Bas-Fonds (1936) and Akira Kurosawa‘s Donzoko (1957) — of The Lower Depths, Maxim Gorky’s classic play of sub-proletariat life, is an obvious one, but it’s fascinating nonetheless. What’s more, there’s an additional fascination in how this coupling appears to validate a classic auteurist position: for while Kurosawa’s film is a more faithful, a more cohesive, and in its own terms a more successful adaptation, Renoir’s film is the more interesting one, perhaps simply because it is the work of an immeasurably greater director. Kurosawa’s adaptation of the Gorky play appeared in 1957, made between Throne of Blood (Kumonosu jô, 1957) and The Hidden Fortress (Kakushi toride no san akunin, 1958), the period of Kurosawa’s greatest works. It’s a very faithful adaptation, and it may be that this faithfulness gives it a focus and even places restrictions on Kurosawa, so that it doesn’t suffer from those weaknesses (over-determined dialogue, excessive sentimentality, caricature of secondary characters) that characterize even his greatest work. The film’s played as an ensemble acting piece, performed by actors we recognise from other Kurosawa films, a mixture of minor-role character actors and lesser-known leading actors. However, given this ensemble nature, Toshiro Mifune (right) does in fact seem miscast here: his star quality and Kurosawa’s characteristic encouragement/ indulgence of his excessive performance style work against the other actors and the film as a whole. 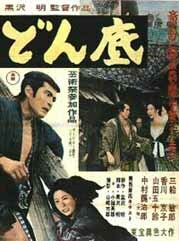 Still, Kurosawa retains the basic plot of the original play — the avaricious landlord Kostylyov, the love triangle formed by Vassily, Vassilissa and Natasha, the range of characters represented by the other boarders such as the dying Anna, the gambler, the alcoholic actor, and the priest — while successfully transforming the characters into Japanese of the mid-19th century. Even more successful is Kurosawa’s retention of the play’s single setting, his refusal to “open it out” in any way, where even the act divisions from the play are retained with the only fade-out/fade-ins of the film. This approach is signalled from the film’s very first, marvellous opening shot: a 360° pan, shooting upwards, reveals a temple setting, neighbouring trees, and finally two monks dumping rubbish onto the buildings below, which we then descend to: the setting for the rest of the film. We never leave this world, as trapped as the characters are; though Kurosawa will occasionally give us a sudden low-angle, even slightly expressionistic shot revealing that world above. This most clearly occurs in the long sequence following the landlady Osugi’s attack on her sister Okayo, which leads outside and culminates in the death of the landlord Rokubei. This highly edited sequence includes a number of shots which reveal at the top of the frame spectators viewing the whole proceedings from the cliff up above; in one shot the camera very deliberately tilts up to alert the audience to this and then tilts down again to the original framing. In Donzoko Kurosawa gives us an adaptation that is both faithful to the original play and inventive in its transformation of the story to a Japanese context and in the mastery of cinematic form that gives expression to that story. 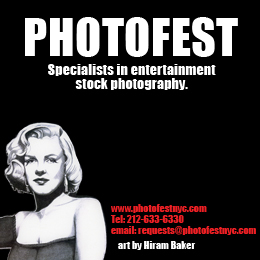 There’s an enormous variety of cinematic technique: both long takes and sequences of very short, rapidly edited shots; careful depth-of-field compositions; frequent use of camera movement to reframe compositions within the shot; the set’s wooden beams are used to dissect the frame vertically and diagonally (usually on the sides of the shot, sometimes centrally) to great effect; there’s striking play with light and shadow in the superb black-and-white cinematography. It’s a demonstration of Kurosawa at the height of his powers — which makes it unfortunate to add that the film (perhaps because of its faithfulness) ultimately is also a little dull: it does seem a long 125 minutes. Renoir’s Les Bas-Fonds is a very different kind of film. It’s a far freer adaptation of the Gorky play, with the slightly curious approach of retaining the Russian names, locales and costuming (with the prominent exception of the thief Pépel played by Gabin) but at the same time clearly setting it in France — on the banks of the River Marne, as Renoir himself makes clear in the filmed introduction that comes as the only extra on Criterion’s Bas-Fonds disc. In addition, it doesn’t follow the ensemble nature of the original play (which Kurosawa maintained) but plays far more as a star vehicle for two great actors of the day, Jean Gabin and Louis Jouvet. 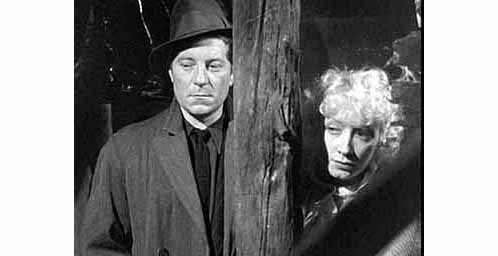 Gabin’s persona in his films of the thirties is that of a strong, often silent man of the people, a man of integrity and independence, even something of a loner, prepared when pushed to explode into acts of violence, and suffused with a smouldering romantic intensity. Prior to Les Bas-Fonds this persona was most clearly established in Julien Duvivier’s La Belle Équipe (1936), and Renoir does nothing really to challenge this persona. Gabin’s performance isn’t integrated into the film in the way that happens with La Grande Illusion (1937); but nor does Renoir take the Gabin persona down the indulgent path of doomed romanticism leading to death, as happens with later Gabin vehicles like Duvivier’s Pépé le Moko (1937) or Marcel Carné’s Le Quai des Brumes (1938) and Le Jour se lève (1939), and this works to the film’s credit. Jouvet was a major figure in French theater of the day, and his film performances always bring a slightly mannered quality to them from the stage, along with a certain sense of irony or even cynicism. (He was the perfect star of Quai des Orfèvres  under the direction of the equally cynical Henri-Georges Clouzot.) In Les Bas-Fonds Jouvet has the role of the Baron, whose gambling debts lead him to end up almost willingly among society’s down-and-outs in the tenement boarding house of the film’s main setting; and as with Gabin, Renoir allows the actor to indulge in a “Jouvet” performance. This is abundantly clear from the wonderful opening shot of the film: Jouvet stands upright, the only figure on screen, in the centre of the frame, silent but with an occasional superior smirk escaping him as his unseen superior rebukes him for embezzling ministry funds to pay off his gambling debts; and the camera swings round him first to the left and then further and further to the right finally to reveal his superior reflected in a mirror. This single opening shot keys us to all the important features of the film: the priority given to star persona and performance; the degree to which the narrative differs from (adds to, opens out) Gorky’s original play; and the significance of Renoir’s camera style of this time, characterised by deep-focus depth-of-field, the moving camera, and the revelation of off-screen space, the world extending beyond the limits of the frame. An important and indicative camera trope that occurs in the film is a variation of the shot always favoured by Renoir in his films of the thirties of looking through a window to the world revealed outside. One prominent example is when the camera tracks forward to frame Vassilissa talking to her lover Pépel on the balcony while we see her husband, the landlord Kostylyov, scurrying away outside. Their conversation continues, each of them framed in individual shots with out-of-focus activity occurring in the background. Then there is a return to a deep-focus two-shot with the camera reverse-tracking as Kostylyov returns in the background. This trope reoccurs a number of times — with Vassilissa and Pépel again, Vassilissa and her sister Natasha, Natasha and the police inspector — always reinforcing this important sense in Renoir’s work during this period of the world of the film expanding beyond the focus of the diegesis. The prominence Renoir gives to the characters of Pépel and the Baron (right), reinforced by the strength of performance and star quality of the two actors, is the most significant difference from the original play. 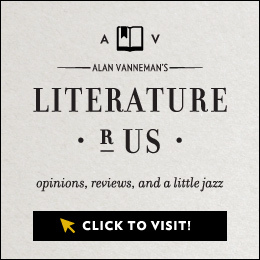 He does retain the basic plot (the love triangle between Pépel, Vassilissa and Natasha) and the separate plot-lines of the other inhabitants of the flophouse (the death of Anna, the prostitute’s romantic dreams, the actor’s suicide) but the emphasis is quite different. 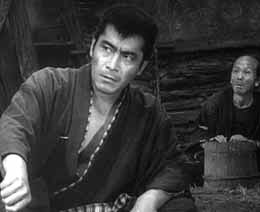 Kurosawa in his film version emphasises Gorky’s theme of the necessity and value of those sustaining illusions, those perhaps impossible hopes and dreams that keep everyone going, especially true of these characters living at the lowest level of society. Although it exists, this does not come across as an important theme for Renoir’s film, which is more interested in offering through the figure of Pépel (and through the way he and Natasha leave the world of the lower depths) the possibility of escape and the attainment of true freedom; the film doesn’t conclude with the play’s (and Kurosawa’s film’s) ending of the suicide of the actor, but rather with Pépel and Natasha walking down the open road. 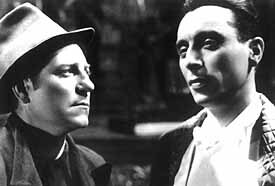 In this respect it is a true “Frontist” Renoir film, representative, as Renoir’s films between Le Crime de Monsieur Lange (1935) and La Marseillaise (1937) all were, of the Popular Front common political programme adopted by all the parties of the left. The choice of Gorky’s play is very much in this spirit (remember, too, that Renoir effectively abandoned the shooting of the far less politically committed Une Partie de Campagne in 1936 in favour of Les Bas-Fonds); we can read the film’s sympathy towards these characters of the sub-proletariat, the antagonism towards the exploitative landlord Kostylyov, and the mockery of the petit-bourgeois spirit represented by the police inspector all as interventions in the political climate of the day. The way responsibility for Pépel’s killing of the landlord is jointly assumed by the other lodgers (it’s even shot this way) is clearly in the collectivist spirit of left-wing politics of the day. Furthermore, the importance Renoir’s film places on Pépel and Natasha’s escape accords the film an important political meaning: it not only indicts a social, economic and political wrong but offers a measure of hope. 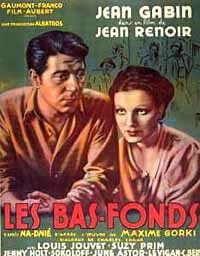 For all its virtues, Les Bas-Fonds is a lesser Renoir film. In many respects it is unable to escape fully the constraints of French studio cinema of the day. This is particularly true in terms of the two lead actresses, Suzy Prim as Vassilissa and the rather poor Junie Astor as Natasha. Both are far too coiffured and manicured to be convincing as occupants of this world. But compare Les Bas-Fonds to something like Le Quai des Brumes, which also mixes some location work with predominant shooting in-studio but never attains the sense of freedom and expansiveness of Renoir’s film. Minor Renoir, yes; but never less than the work of one of the very greatest of directors, and in the end preferable to Kurosawa’s more “perfectly” realised adaptation. Of the two films, Criterion has given Donzoko the greater attention. (Given the age difference, it also looks much better than Les Bas-Fonds.) It comes with an informative, wide-ranging commentary by Donald Richie, who sometimes focuses on the film itself, at other times offers his thoughts on Kurosawa’s career as a whole. There’s a reasonably good 33-minute documentary from the TV series Akira Kurosawa: It Is Wonderful to Create. In addition, Steven Prince, author of one of the best books on Kurosawa (The Warrior’s Camera: The Cinema of Akira Kurosawa, Princeton U.P., 1999), has provided biographies of the cast members (something that Criterion should do more of). The only extra on the Bas-Fonds disc is an old filmed introduction by Renoir himself. The insert booklet contains two brief essays, Alexander Sesonske on Les Bas-Fonds, and Keiko McDonald and Thomas Rimer on Donzoko. A Region 1 NTSC 2-disc set, both films are in the correct ratio of 1.33:1 and with optional English subtitles.